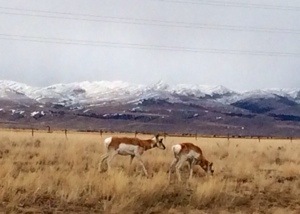 Antelope roam the brown and golden ridge. Wade the river, cross the bridge. Lie treasures new and green. To find what can’t be seen. Might lurk bright and growing expectation. Feed a needy soul, give a positive perk. God asks us to be curious. Come down off our snowy perches. Cross the rivers of comfort and affluence. Go beyond our homes and churches. Dig beneath smooth, deceptive surfaces. Find places where need and hurt abide. Stick your nose in; get your feet muddy. Provide new growth; dig beneath human pride. Roam the brown and golden ridges. Meander off your snowy mountain. Wade the rivers; cross the bridges.